Unisex bomber jacket for adults (for men and women). Special shiny fabric on the outside. Quilt inside. Zipper pockets. 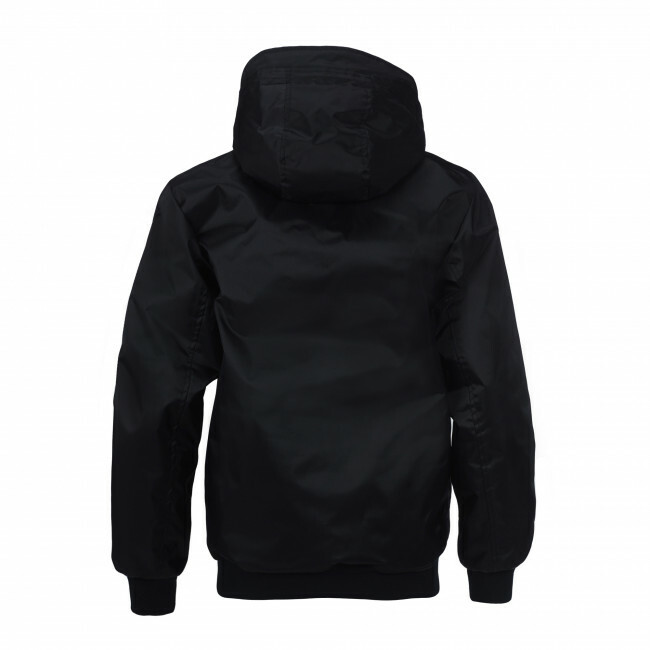 Removable hood. Elasticated ribbed sleeve cuffs and waistband. 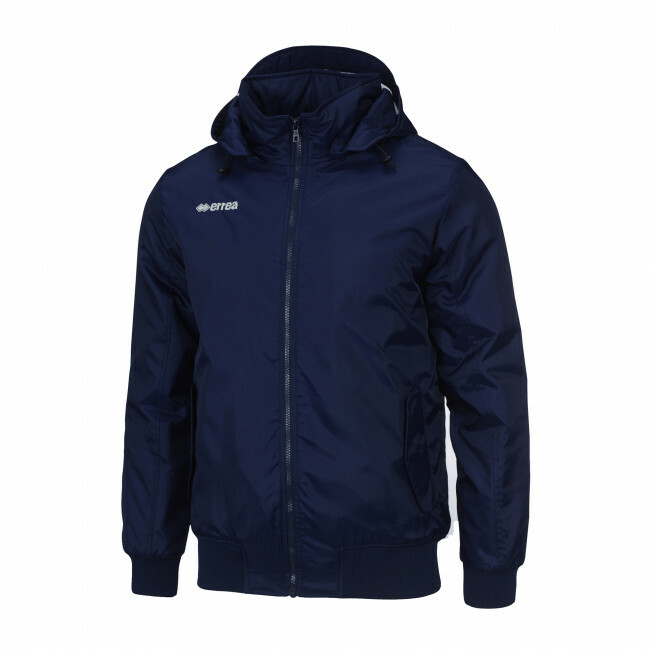 Windproof and rainproof bomber jacket. Water repellent and windproof treatments. The Niagara bomber jacket by Erreà keeps the warmth inside thanks to a soft and lightweight insulation material that is extremely versatile in any weather condition, also thanks to its detachable hood. ? 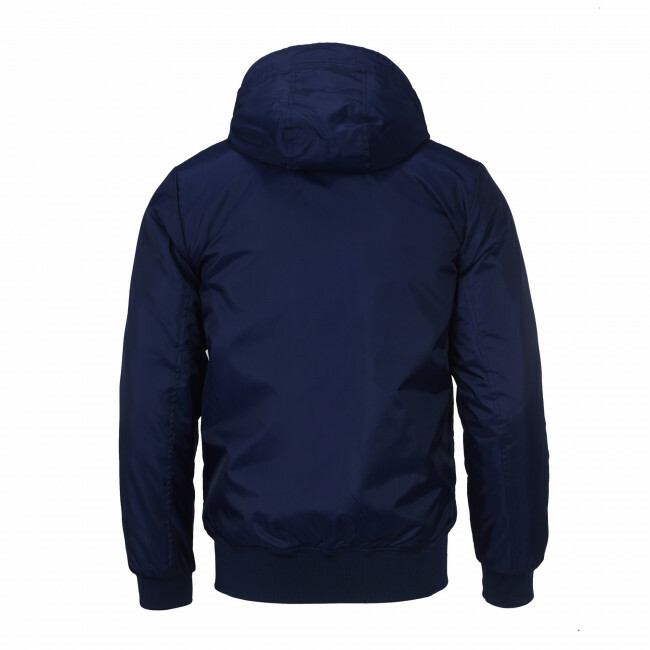 This bomber jacket is perfect for men and women who love sport and who always want to dress with well-finished and trendy garments, without foregoing technical textiles specifically conceived to maximise performance. Elasticated sleeve cuffs and waistband to assure perfect fitting at all times and protection from the cold and rain (also guaranteed by the special water repellent treatment). The zipper pockets will allow you to carry your essentials with you. The outer shiny fabric gives this bomber jacket a sporty and modern look.